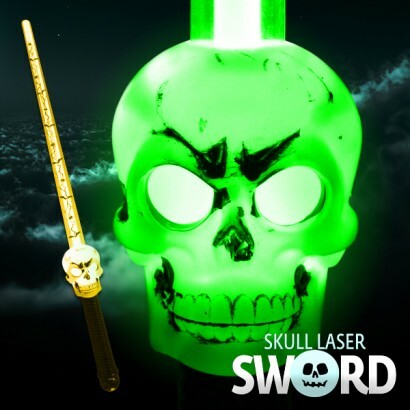 Packed with colour and full of spooky character, this impressive laser sword measures 63cm long and has a creepy light up skull at the handle! 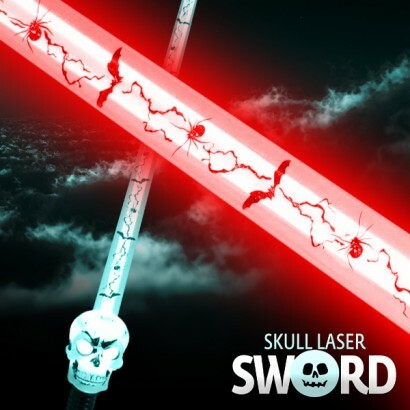 Bring on the the frightfest this Halloween with this creepy laser sword that's decorated with blood thirsty bats along the length of the sword that lights up in eight cool modes including a whopping seven different static colours! 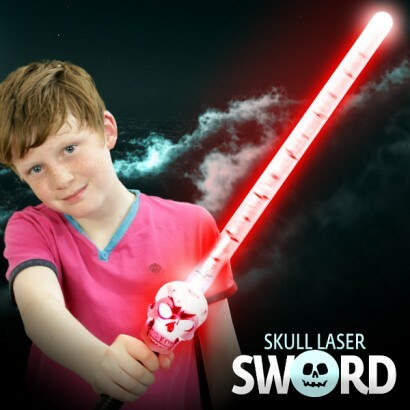 Perfect for Halloween, whether it's trick or treat or fancy dress, this ghoulish sword comes with batteries included.